With nearly a century of importing cigars to America we have been a part of the story of those men and women of courage and vision who have made there own way in the world and dared others to follow. There is an exotic, romantic and sometimes, defiant act embedded in the great tradition of enjoying a fine cigar. 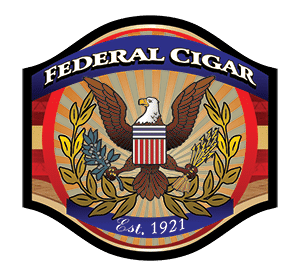 More than just sales, our newsletter covers everything that Federal Cigar has to offer including our never ending line up of special events where you can enjoy great cigars and cocktails with your Brothers and Sisters of the Leaf. Of course you will also be among the first to know about special allocations and new arrivals. Our Cigar bars are without a doubt the nicest and best ventilated lounges in Northern NE. Our state of the art ventilation systems are computer controlled and exchange the air every 3 minutes! No more cigar fog, its truly amazing. Even non-smokers can come and enjoy the evening with their friends. 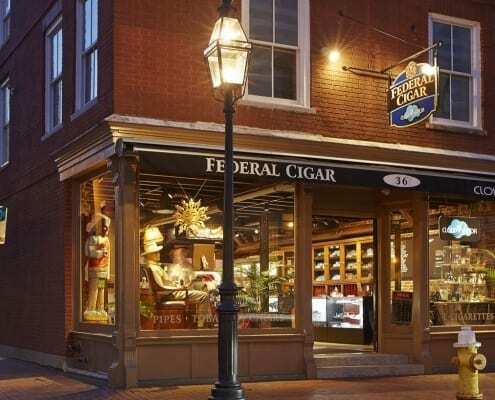 Unlike the Man Caves of yesteryear, Federal Cigar is a great place for men, women and couples. Want to stash your goods? With our Locker Rentals your cigars will be safe and sound. 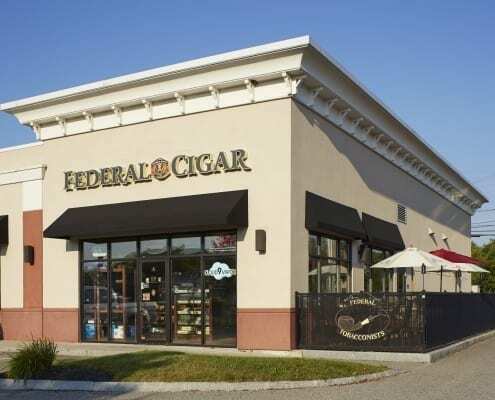 Federal Cigar Members enjoy numerous benefits at all of our Store and Bar locations. Find out more today. The best way to know what’s coming up in regards to a Tasting, hosted by representatives of the featured spirit or Pairings, where for a discounted price you can enjoy a premium cigar complemented with a delicious libation is to follow us on Facebook and Twitter. 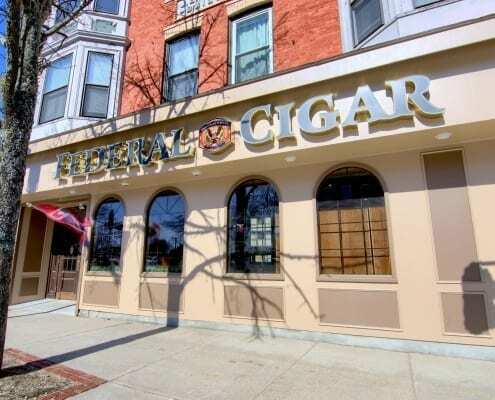 We’re the premium cigar shop in America, our flagship store located in beautiful Portsmouth, New Hampshire. We guarantee every shipment to be the highest quality, authentic cigars. Are you of legal age in your State?